I was excited to dive into this one because it seems a bit counterintuitive! We are used to hearing about therapists getting shade for being open about having strong financial goals and setting fees accordingly OR for hearing therapists getting criticism for not utilizing a sliding scale! 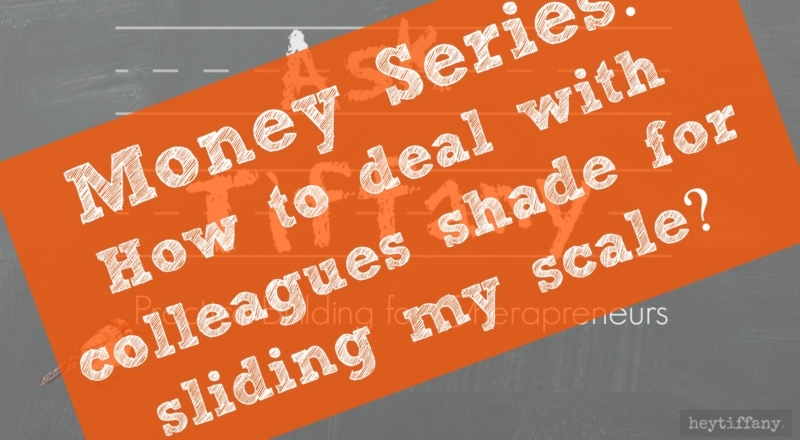 Check it out in this week’s episode of Ask Tiffany: A Video Series for Therapreneurs! NOW, we’d love to hear from you. Do you resonate with Therapist Rachael’s struggle? When so many therapists are struggling with their financial situation, do you resonate with the anxiety that comes from being financially stable? I love the term “professional shade.” I’m going to use that! !